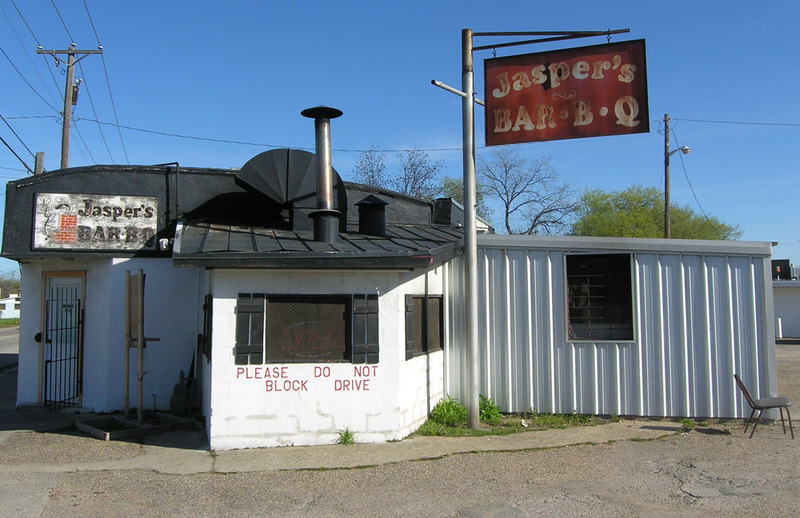 At the corner of Clifton Street and Elm Avenue is Jasper’s Bar-B-Que, Waco’s oldest-operating barbecue restaurant. 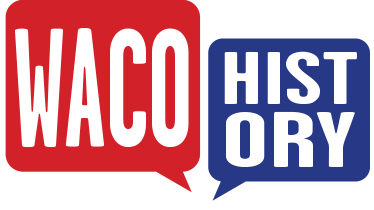 Although East Waco has undergone many changes, Jasper’s has never changed locations and remains a place where residents today can expect to be served the same fare that brought their hungry predecessors to the counter at its opening in 1919. Jasper’s began as a humble pushcart fruit stand operated by Italian immigrant Jasper DiMaria. In its early days of operation, the cart’s customer base was largely comprised of passengers from the interurban railway. 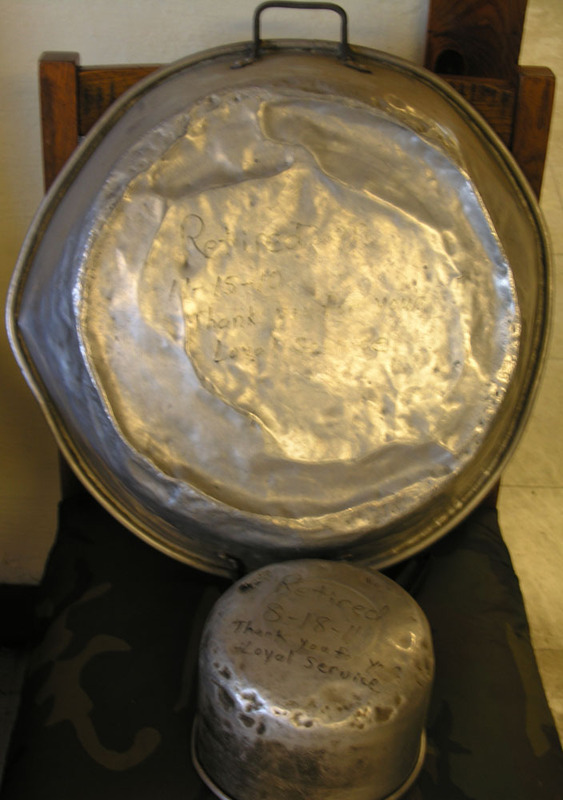 Waco was the last stop on the rail line to Dallas, and travelers would frequent DiMaria’s cart to purchase refreshments for the remaining long haul. Recognizing the profitability of offering more substantial foodstuffs from his cart, DiMaria started selling barbecue. 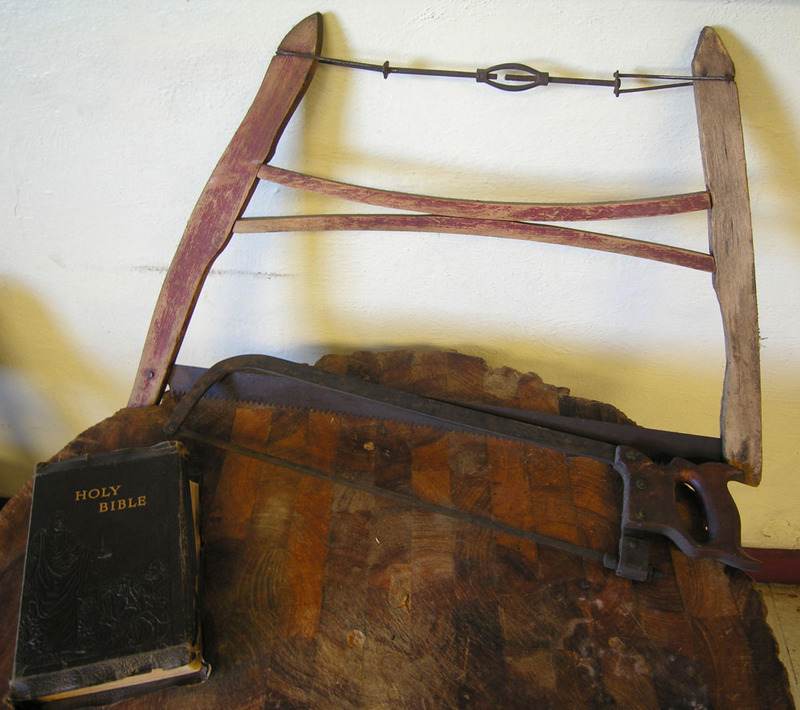 He would go to a nearby meat-packer and purchase a quarter of a cow or a bull. Soon customers were lining up for dishes like chopped beef and gravy or neck bone. As demand for his takeout barbecue increased, DiMaria abandoned the cart for a permanent structure. Requiring nothing fancy, DiMaria set up shop in a building with a dirt floor, a table he brought from home, and a few picnic benches. Customers were not put off by this humble establishment, and word of mouth spread about the menu at Jasper’s. Soon locals flocked to Jasper’s as well as travelers. Legend has it that when the restaurant’s lines would sometimes stretch down the street, DiMaria would walk to the place in line where he estimated the food would run out and pronounce it to be the end of line. Everyone past that point would have to try again the next day to get their barbecue order. 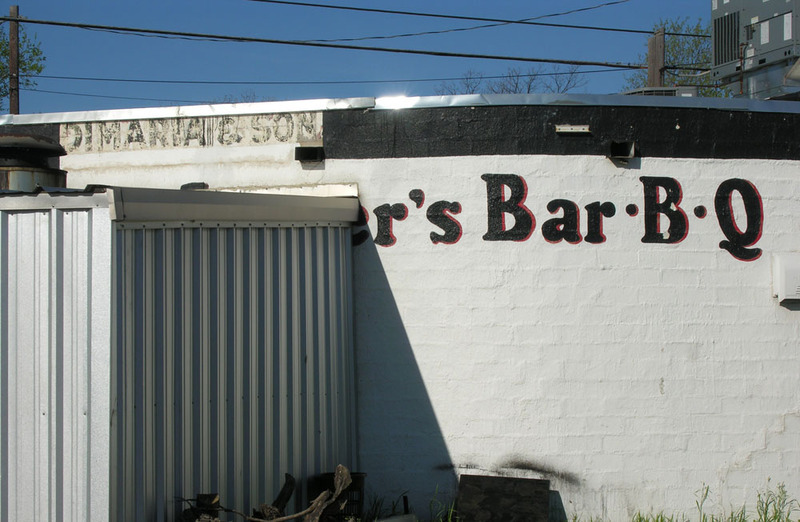 When his son Tony became old enough to join the family business, DiMaria renamed it Jasper DiMaria & Son Bar-B-Que. The restaurant remained family-owned until Tony’s retirement in 1990. 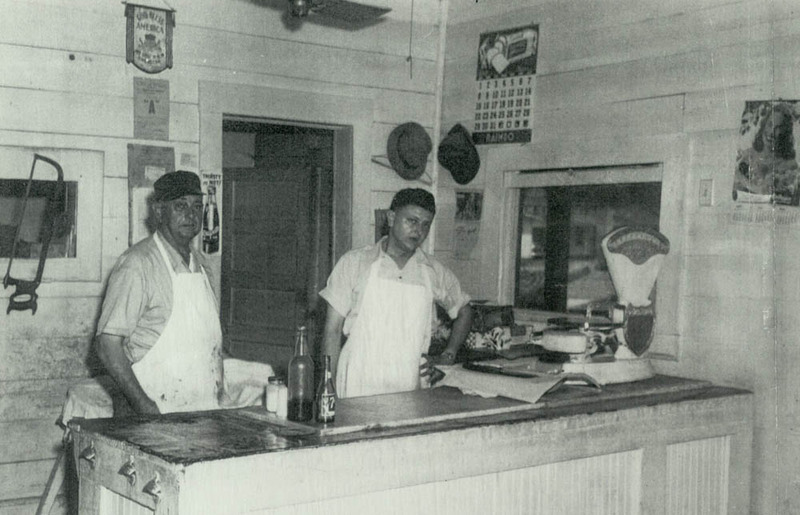 Although the DiMaria family is no longer involved in its daily operation, Jasper’s Bar-B-Que has remained true to the cooking practices and flavors of its namesake. The original boiling pit is still on premise, allowing the tradition of boiling the meat in a large vat of au jus to continue. Jasper’s most sought-after items continue to be neck bones and its signature gravy. The chopped beef is still served with slices of white bread on butcher paper, and the gravy is made according to the original recipe. 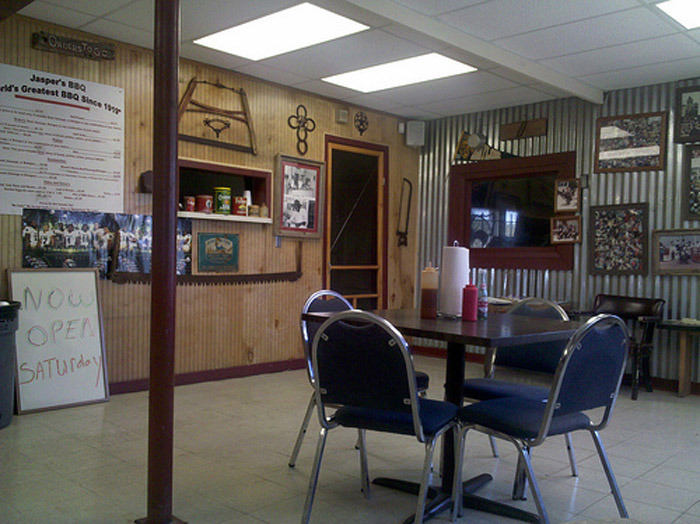 Jasper’s Bar-B-Que stands out for more than just its time-tested recipes. Its longevity has allowed the restaurant to also function as a community hub for East Wacoans. 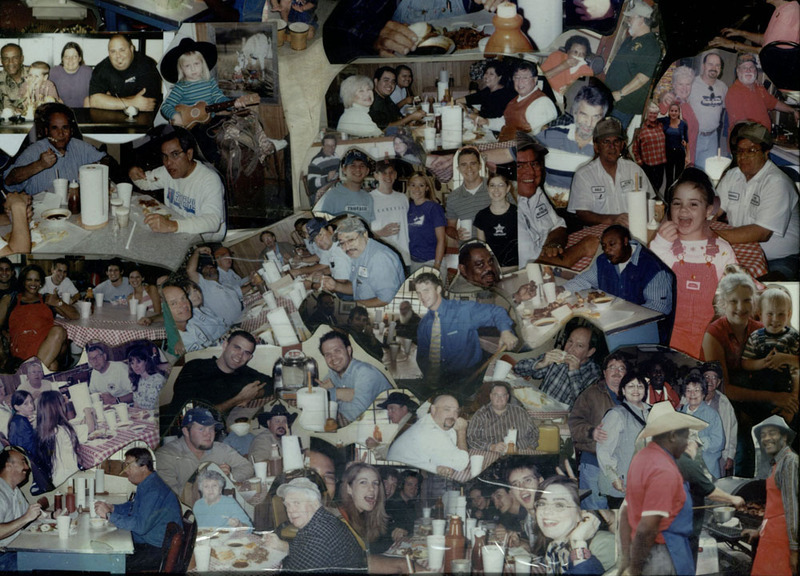 Tony Thompson, a server who has been employed by Jasper’s for more than two decades, notes that it is not unusual to see multiple generations of East Wacoans dining at Jasper’s. They come not only for the food but to discuss sports, politics, and life events. Thompson is proud of the fact Jasper’s is located in East Waco and considers it a privilege to serve the community he was raised in. 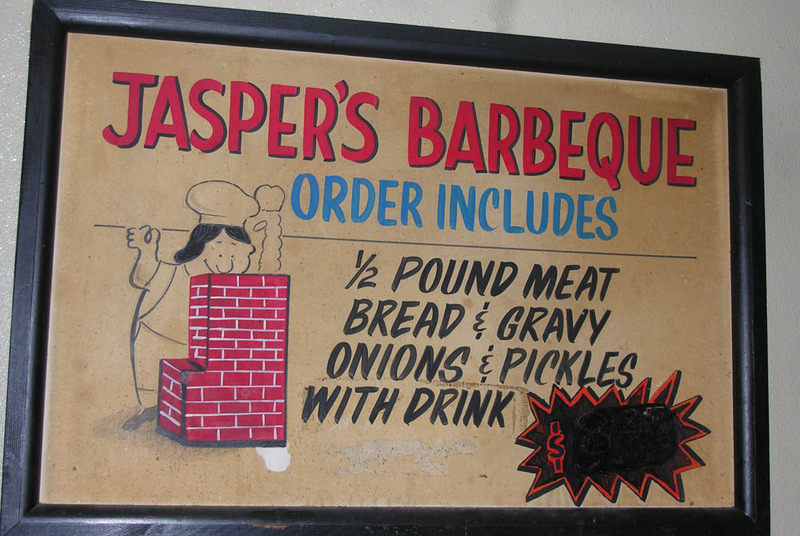 By preserving the recipes of Jasper DiMaria and serving as a community gathering place, Jasper’s Bar-B-Que remains true to its roots. 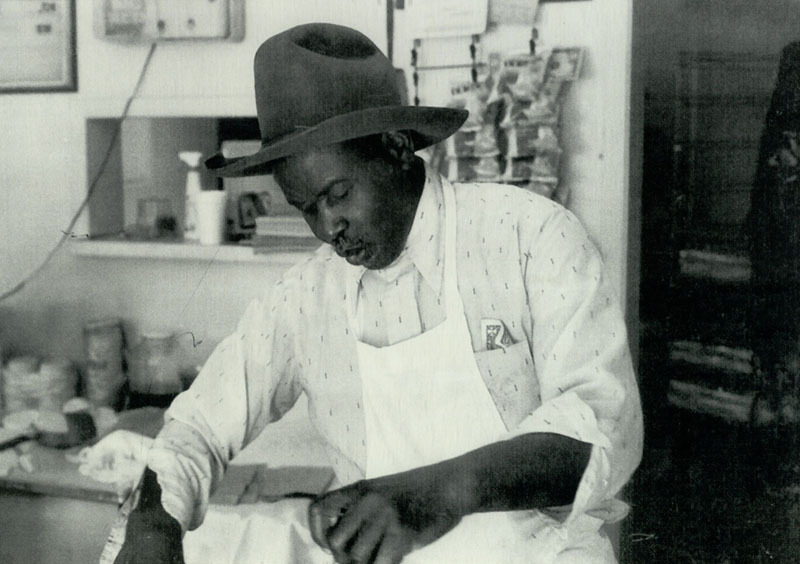 Prisca Bird, “Jasper's Bar-B-Que,” Waco History, accessed April 19, 2019, https://wacohistory.org/items/show/82.